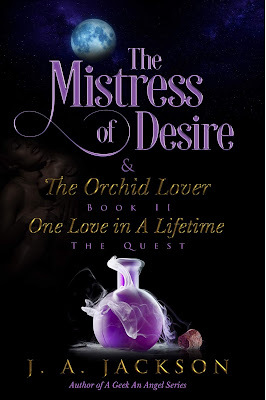 Two Chicks On Books: Blog Tour- THE MISTRESS OF DESIRE & THE ORCHID LOVER: THE QUEST by J.A. Jackson With An Excerpt & Giveaway! Blog Tour- THE MISTRESS OF DESIRE & THE ORCHID LOVER: THE QUEST by J.A. Jackson With An Excerpt & Giveaway! I am happy to be hosting a stop on the blog tour for THE MISTRESS OF DESIRE & THE ORCHID LOVER: THE QUEST by J.A. Jackson! I have an excerpt to share with you today check it out and enter to win the giveaway below! The room was silent except for the echoing sound of Nona’s vintage alligator peep-toed pumps as they slammed across the floor, as she charged in. 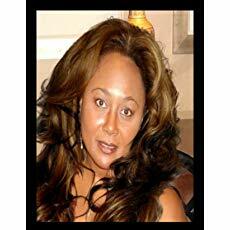 “Thank you,” Glenda muttered, with an apologetic tone in her voice. Nona turned and made a beeline across the room. “Oh, and here’s yours Consuelo,” she said excitedly, handing her a bag. “Thank you, Nona,” Consuelo smiled and let her eyes settle on Nona’s for a second before she nodded agreement. “It’s true, about the traffic being heavy on Highway 80, today. Just this morning I saw it on the news, something to do with a big rig turning over,” she said, with a heavy Spanish accent. J.A. Jackson,is the pseudonym for an author, who loves to write deliciously sultry, mature/adult, romantic, suspenseful, and entertaining novels with a unique twist. J.A.JACKSON is an author who lives in an enchanted little house she calls home in the Northern California foothills. She fell in love with writing as a child. 3 winners will win a signed finished copy of THE MISTRESS OF DESIRE & THE ORCHID LOVER: THE QUEST, US Only.